Real achievement -- the true measure of how far we have advanced in life -- is not determined by what we have acquired, but rather by the degree to which we have put our fears behind us. Counter to popular opinion, real success is not measured by the amount of our possessions. Simply stated, the truth is that real success -- ultimately the only success -- is determined by how much we are in actual possession of ourselves. And by the light of this great fact of life, we can also see that the person who fears the loss of what he thinks is his success has not truly succeeded. Why is this the truth? The individual who lives with secret self-defining fears is not a self-possessing person but rather a person possessed, often pushed and punished by his fears. We must begin the inner work of consciously proving to ourselves that there is nothing to fear, instead of allowing our fears to push us into a never-ending series of fearful actions. This suggested new action makes more sense the more we gain insight into our present notion of success; for if we look closely, we can see that contained right within it, although unseen at present, is the fear of failure. The real fear behind this idea of failing is our unconscious fear of losing our familiar, confident sense of self. So, what we must see here, unflinchingly, is this next fact in our study. As long as what we think of as being our "success" in life harbors the secret fear of our self somehow being diminished by the loss of this same external source, then our sense of self does not belong to us. Under these conditions we are little more than unsuspecting victims subject to every vagrant wind of change that blows through the world of our enterprise . . . not a very pleasant or promising prospect, is it? Of course not. But it doesn't have to be this way. We can learn life's secret lessons about the nature of real success, and follow them all the way to the Real Life that is their source. So let us begin this inner journey that will take us beyond our fears and our unconsciously fearing self. 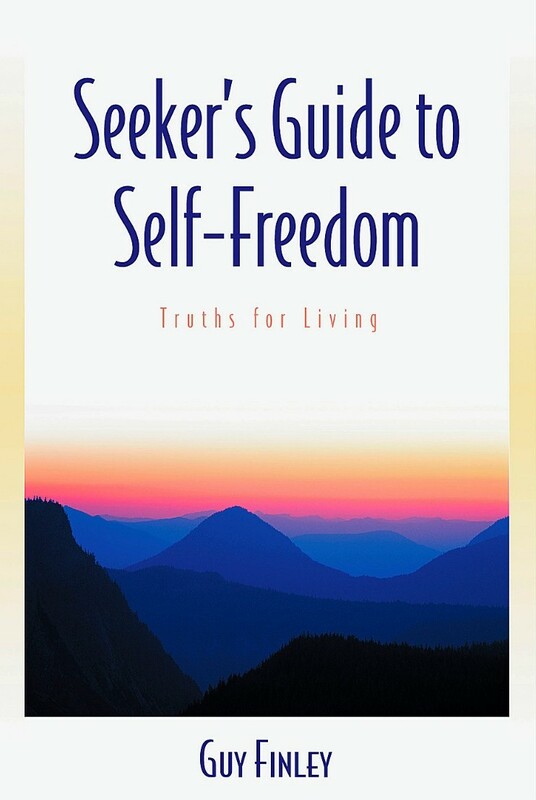 Excerpted From: Seeker's Guide to Self-Freedom: Truths for Living, pages 185-186.